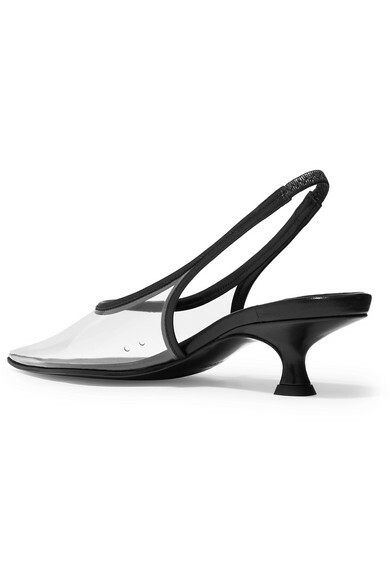 MM6 Maison Margiela’s slingbacks are a flattering option for warm-weather events. 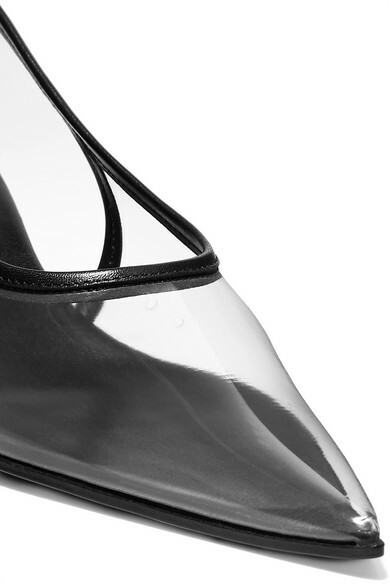 Crafted in Italy from clear PVC and detailed with black leather piping, they’re set on a 40mm kitten heel. 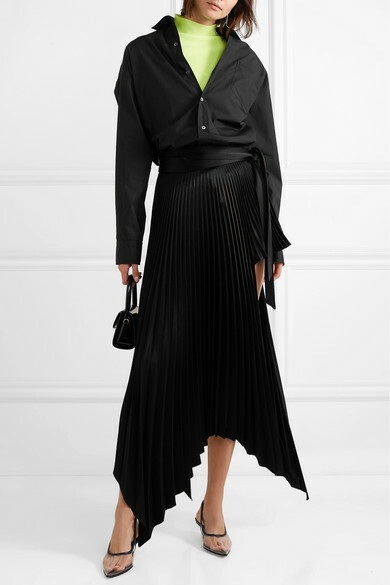 Try yours with cropped hemlines or midi skirts. Shown here with: Helmut Lang Sweater, Peter Do Skirt, Vetements Shirt, BY FAR Tote, Jennifer Fisher Earrings.